The White Lake is the compelling saga of a journalist coming to grips with his new life as an entrepreneur in post-Communist Poland. It is that rare thing: ‘A Year in Provence’, but written by an outsider who chose the frozen wilds of northern Poland over an easy life in the vineyards of southern France. 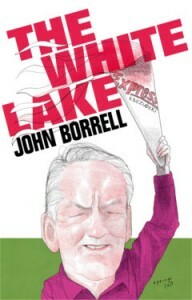 John Borrell was one of the first foreigners to settle in Poland after the collapse of Communism, quitting his job as a travelling war correspondent with TIME to start a business and a family on the shores of a pristine lake in Poland. In building a house for himself and a lodge for paying guests in a poor region sorely in need of investment and jobs, he came up against a cabal of Communist-era local officials at a time when corruption was rampant in Poland and bribes were expected for many permits and approvals. He fought back in the only way he knew how: he exposed them by starting a Polish newspaper, Express Kaszubski, and training young journalists in old-fashioned investigating that eventually helped a newly informed electorate to vote the local mayor out of office. His worries did not end there; the mayor prosecuted him for criminal libel in a case that threatened to destroy all he had built and put Borrell himself behind bars. The White Lake is an unforgettable read by a determined man who refused to compromise. Buy a copy through Quartet Books. New York, NY 10175, U.S.A.